Every business needs reliable communication systems. Whether you need to offer support to customers or solicit sales from a potential customer, your communications system has to work and should have the features you need. This is why using a virtual phones system that uses voice over IP (VoIP) could be the system you need. Scalability is essential for any small business startups and your phone system should be easily scalable as well. With a virtual phone system, you are able to have a single virtual phone number for any location around the world. All you need is access to the internet. With internet access, you can connect to your same phone systems with the same phone number even if you open a new business building half way around the world. Voicemail is a common problem for a lot of small business start-ups. When a customer calls and can’t get a hold of anyone they leave a short voicemail with contact information. The customer expects a prompt response, and this isn’t always the case. With a virtual phone system, you can set it up so that new voicemails give you an email and even text message warning you to check it. No matter where you are as long as you have internet access you can check the voicemail and get back to the person promptly. Most virtual phone system providers even have mobile apps, so you can make business calls on the go. This is a new level of connectivity even when you are out of the office. You are warned you have a voicemail by text message and check it within 30 seconds. After checking the voice mail you can send the phone call straight from your cell phone and the customer thinks you’re sitting in your office. Busy signals are a thing of the past with virtual phone systems. Customers lose patience extremely fast when they call and get a busy signal. On average, a person will call three times before giving up. 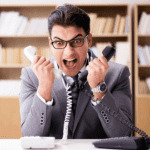 Do not let this happen, you are losing money every time a customer gets frustrated. Stick with the virtual phone systems that work. In summary, small business start-ups and large corporations alike can benefit from virtual phone systems. Being connected anywhere you are as long as you have an internet connection is a terrific way to stay connected with customers even while on a business trip. Being alerted when you have a voicemail through text message will always keep you connected, and nobody can forget about eliminating busy signals. Don’t lose customers because your phone lines are busy. 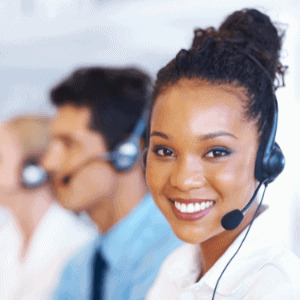 Keep your customers and employees happy with a virtual phone system.